Dinner at Subeez Cafe on Homer Street in Yaletown on March 11, 2011. I love, love Subeez. 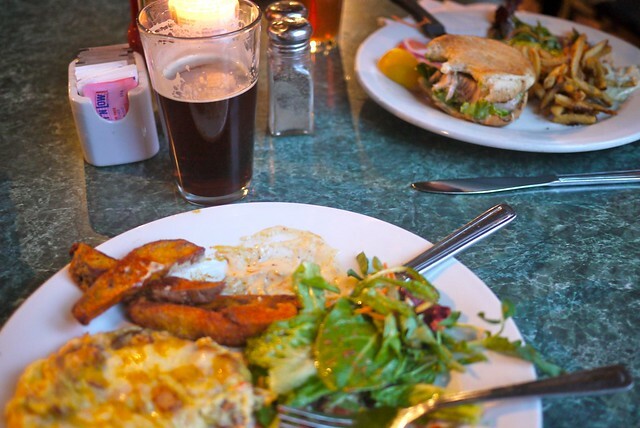 It fits nicely in between quick eats and finer dining. 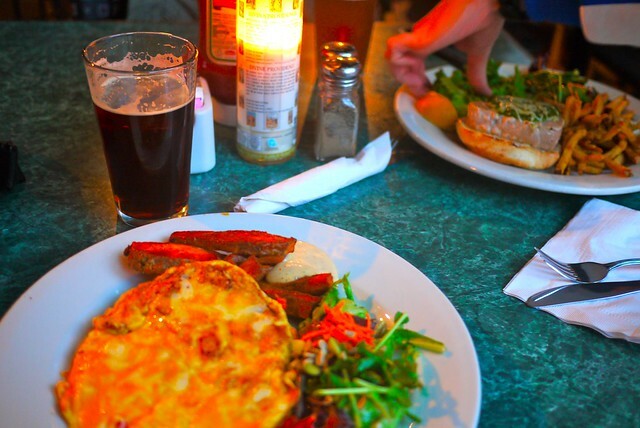 In my interview for Vancity Buzz, I even called it my favourite spot to eat. Their menu is great and I very much enjoy the R&B Raven Cream Ale on tap. I first heard about the just outside the downtown core cafe from Terri Kwong, who sat across from me in our second/third grade class with Mrs. Baker, off her old blog. 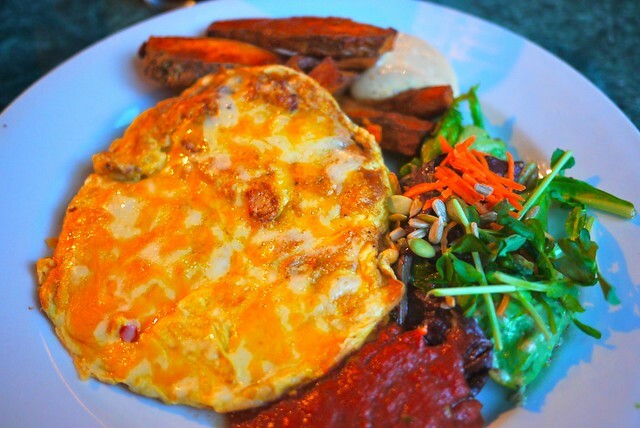 My usual go to dish is the chorizo frittata with yam fries and fresh salsa, because it's available all day. 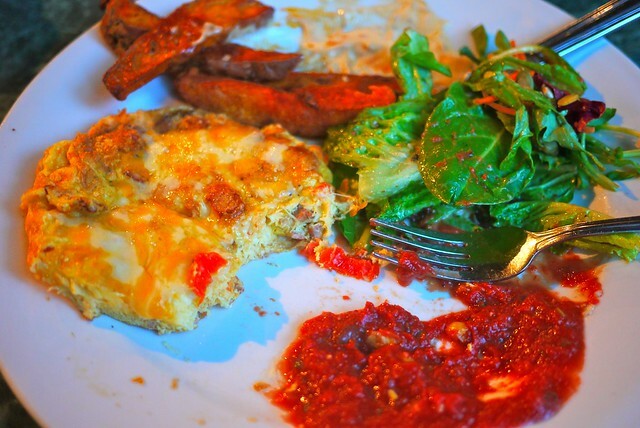 It's so delectable and hits the spot anytime of day and whatever mood I'm in. 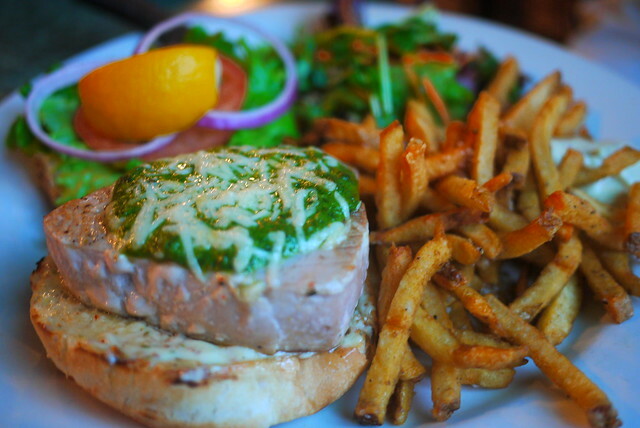 The tuna pesto burger is also great. The fillet is like a steak cooked to your preference. I don't even really like tuna and think it's a pretty solid eat. The creamy sauce and cool burger is filling, hearty, and beyond. It's as good as it looks. Subeez remains my go to spot for dinner downtown. It always does the trick nicely. I always leave satisfied, fulfilled, and full. I actually have very little to say about it. I just really like the food and atmosphere there. Oh wow. I can't believe you remember that. I can barely recall wanting to be a cartoonist. Nice! 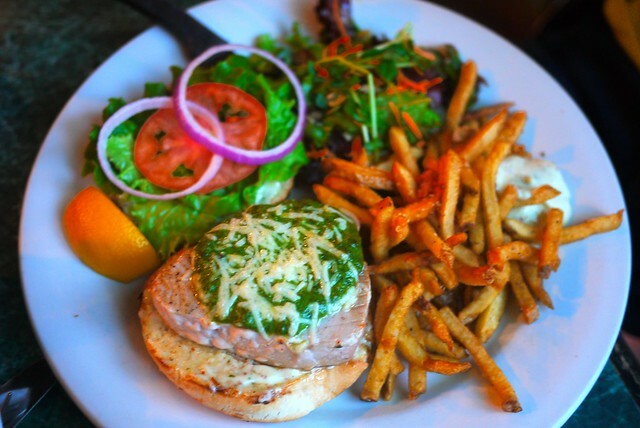 Tuna pesto burger is my go-to dish, unless I'm brunching... then it's the eggs benny. I sometimes forget we've known each other since we were 7 and 8 years old. You've come a long way, that's for sure. I mean, pshh, you wanted to be a cartoonist back then.